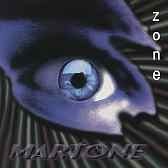 MARTONE - Serious rock fusion axe! - "Eclectic Earwig Reviews Music and More for You!" legato to tapping to the jaw dropping, buttery, alternate picked passage in "Got Da Boots". engineer as well, Martone did some excellent production and engineering on this great sounding CD. Highly recommended. satisfying breadth of talent and technique Marton flaunts with ease. This guy deserves to be heard! I play this one very regularly. And now the specifics . . .
the first bar -- need to hear Martone. Buy this, so we will hear much more from this fine artist. the masses in progressive rock/metal gangs, jazz fusion circles, and power shredders world-wide.